TORONTO, ON – Burdock Brewery has announced details of the “most recent graduate from the Burdock School of Beer, Wine, & Fruit Blending”. 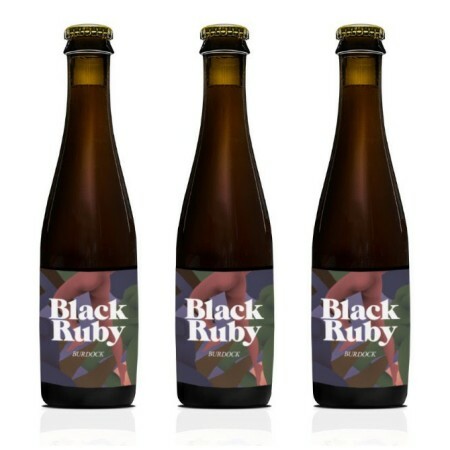 • 50% barrel aged brett saison (aged in neutral – 3rd use – 400L cognac barrels with cab franc skins in the barrel for 8 months) then blended in a stainless tote and aged on black and red raspberries for 3 months. • 35% brett saison aged on cab franc skins aged in tote with a ratio of skins to beer of 1:1 (that’s a lot of cab franc skins). • 15% high acid pinot noir rose from a winery in Niagara that starts with a P.
Black Ruby will be released on Saturday October 13th at 2:00 PM in a limited run of bottles available exclusively in the Burdock retail shop while supplies last.